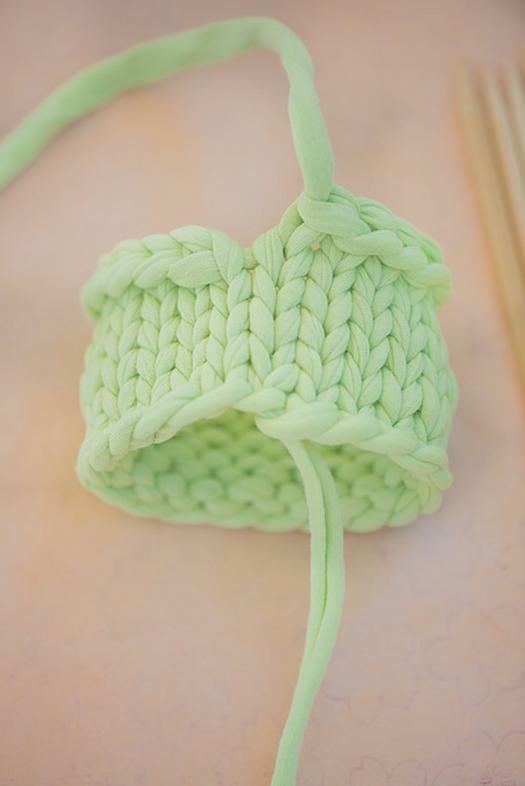 With knitting, you can create not only clothes but also all kinds of jewelry. 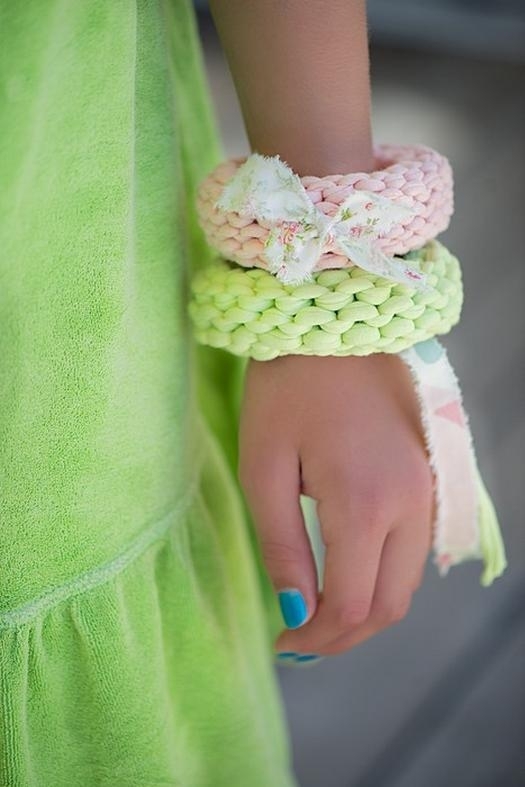 I suggest you make a bracelet of knitted yarn. This product can make even those who have only recently learned to knit. - scraps of bright fabric. 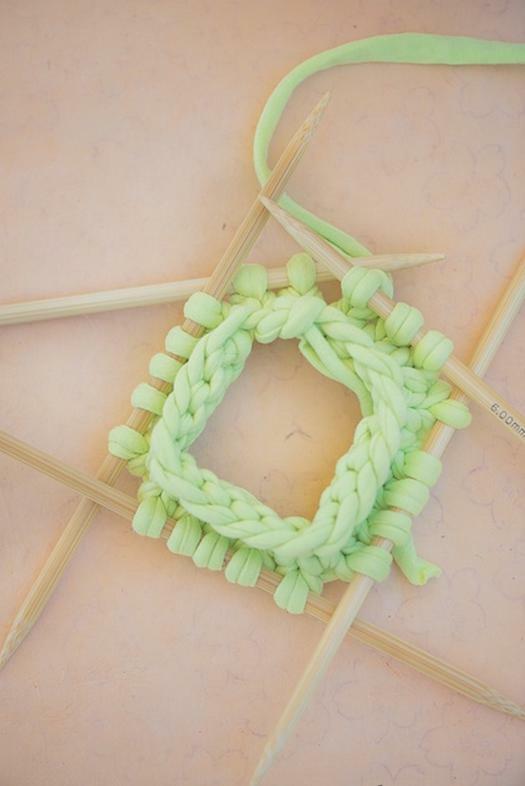 Any knitting begins with a set of loops, and the bracelet is no exception to this rule. Dial on the spokes of a loop, in total you should have 20, that is, on each of the four spokes have 5 loops. 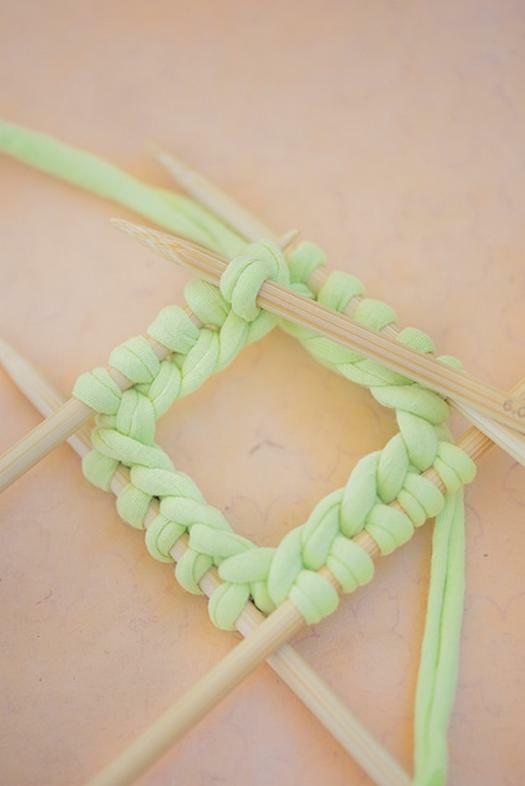 Start to knit a bracelet. Alternate between a series of facial and purl loops, that is, the product is knit hosiery knitting. Fabric for DIY should not be too large, enough 7 series. Try to keep the knitting was not nodules from knitted yarn. If the nodes are still caught in your way, then hide them between the eyes or provarite so that they were on the front side. When you are finished knitting, you secure the thread. 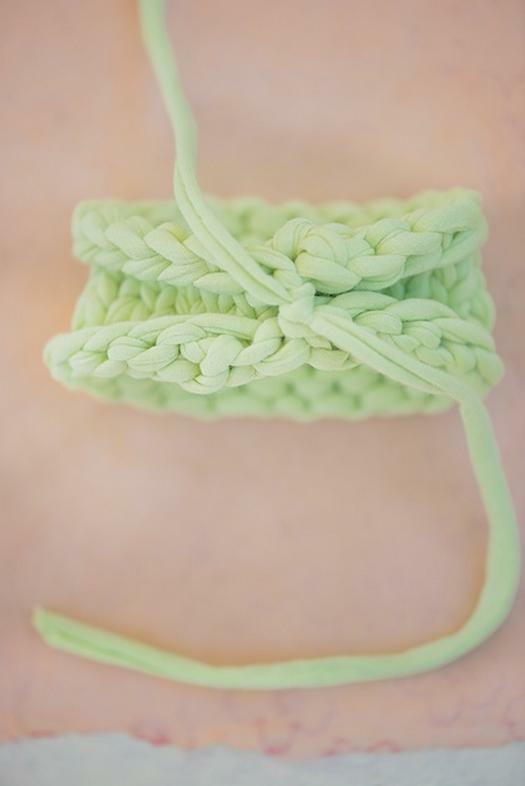 To do this, cut the yarn and pull the loop until the very end. Thus, you'll have a "tail". It pass through the next loop on the left, then fix a few kinks. In the end, you have 2 "ponytail" knitting yarn - the only one left from the beginning of knitting, the second from the end. Fix them between each other, tightly pulling and linking two nodes. Cut the remaining thread with scissors. Thus, hosiery cloth will curl, and the reverse side will appear outside of the product. Optionally the product can be supplemented. 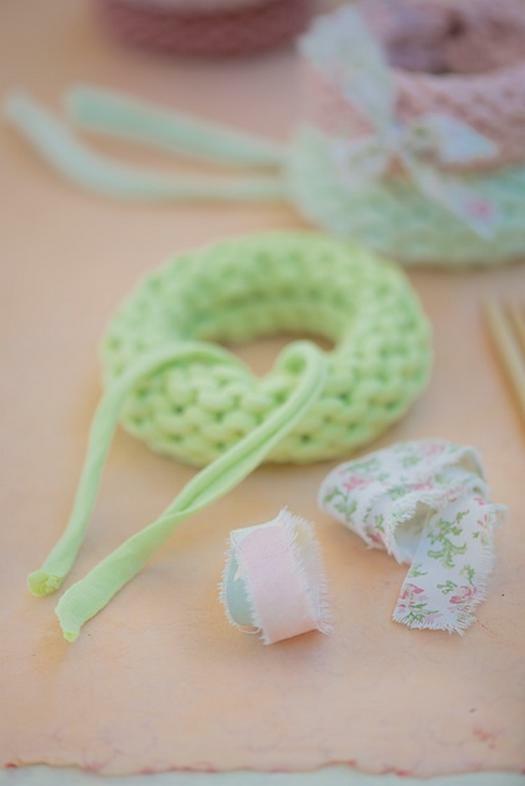 To do this, simply tie it to the garland scraps of bright fabric. Bracelet knitted fabric is ready! This decoration goes perfectly with light summer outfits.